Translating IoT solutions into REAL business value – HOW? When was the last time you spoke to an end user? When was the last time you spoke to a user? Over the past 4 years, we've been fortunate to have the opportunity to witness the growth of ASEAN government agencies and enterprises, from being indifferent to IoT, to now being more able to pin point and articulate their expectations to solution providers on problems that IoT can help them solve. First movers like Maynilad Water Services (Philippines water concessionaire), Siam City Cement Company (Thai cement manufacturer), Iskandar Malaysia Urban Observatory (river revitalisation project and an integrated water treatment plant in Malaysia) have managed to enjoy the value of digital transformation to their organisations, while peers are starting to catch up. Where do the rest of the opportunities lie? Back to my very first question. We've seen many different kinds of "cutting edge" technologies but quoting Axel Winter, CTO of Central Group, "too often, you see IT teams building islands that no one uses". Cases like this happen when both solution providers and end users do not come to consensus on the most important problems that need to be solved in order. Technology providers assume they know what's best for clients, and forget the fact that technology is not the end goal itself; business value is. Speak to end users, hear them out, come back with a better shaped solution (and perhaps with a couple of partners). 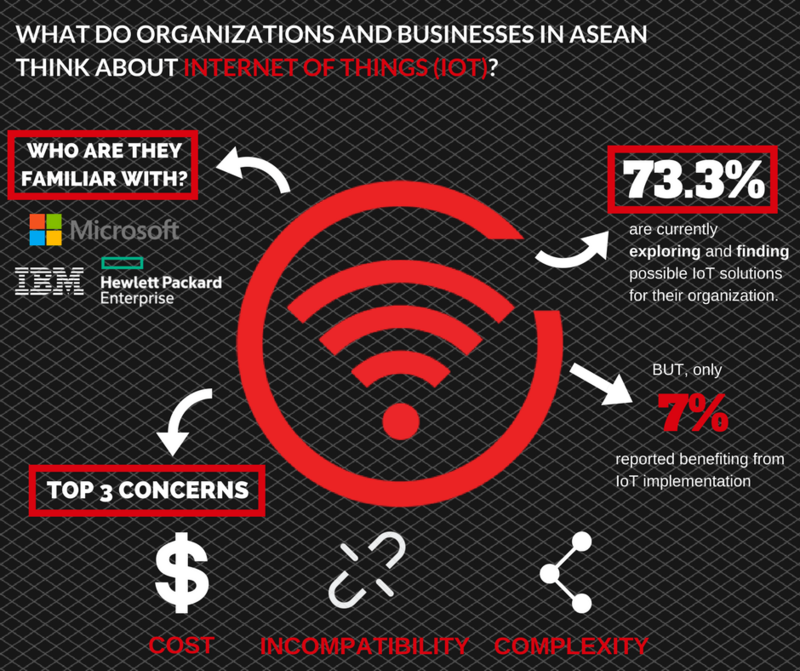 Being an advocate of placing end customers' requirement at the forefront of technology development, the Asia IoT Business Platform (AIBP) team will be tweaking our focus from pure education to understanding the IoT needs of businesses this year: it's finally the end users' turn to share their IoT initiatives and implementation challenges locally. From industrial, transportation, retail and real estate, to public services and smart cities across ASEAN, we look forward finding out first-hand what IoT means to businesses from an enterprise perspective. More details can be found at this link and drop me a note at sueyuin@industry-platform.com if you'll like to find out how your case studies or solutions may fit into our discussions.